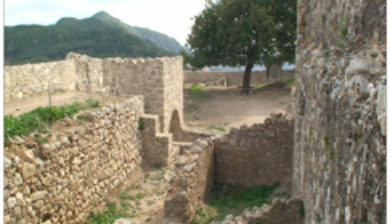 (Greek: Αγγελόκαστρο (Castle of Angelos or Castle of the Angel); Venetian: Castel Sant’Angelo) is a Byzantine castle on the island of Corfu, Greece. 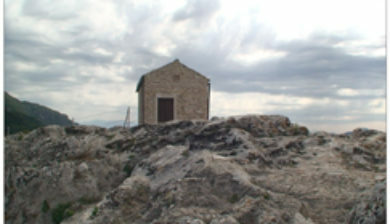 It is located at the top of the highest peak of the island’s shoreline in the northwest coast near Palaiokastritsa and built on particularly precipitous and rocky terrain. 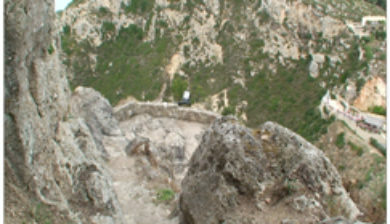 It stands 1,000 ft (305 m) on a steep cliff above the sea and surveys the City of Corfu and the mountains of mainland Greece to the southeast and a wide area of Corfu toward the northeast and northwest. 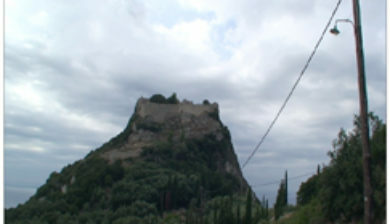 Angelokastro is one of the most important fortified complexes of Corfu. 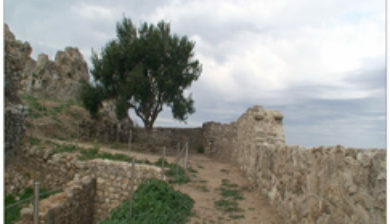 It was an acropolis which surveyed the region all the way to the southern Adriatic and presented a formidable strategic vantage point to the occupant of the castle. 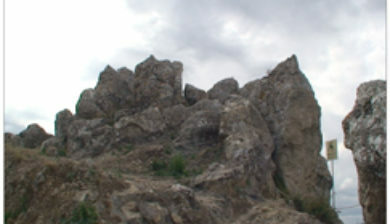 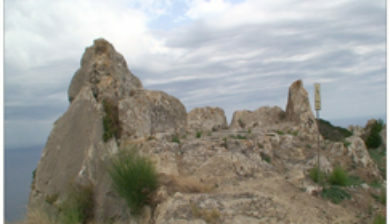 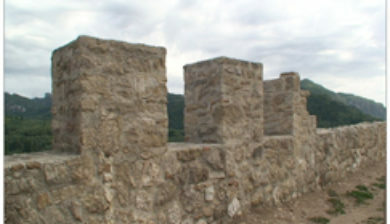 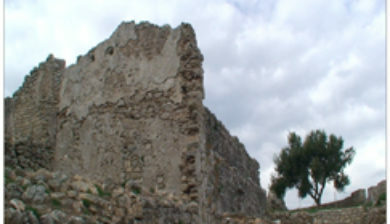 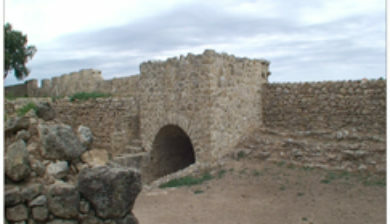 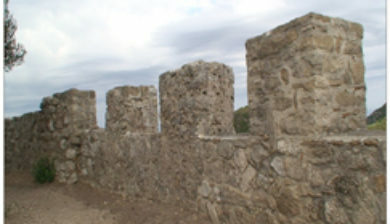 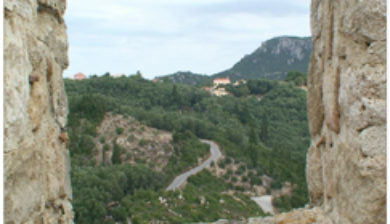 Angelokastro formed a defensive triangle with the castles of Gardiki and Kassiopi, which covered Corfu’s defences to the south, northwest and northeast.